I binged the first season of Anne With an “E” on Netflix with skepticism. 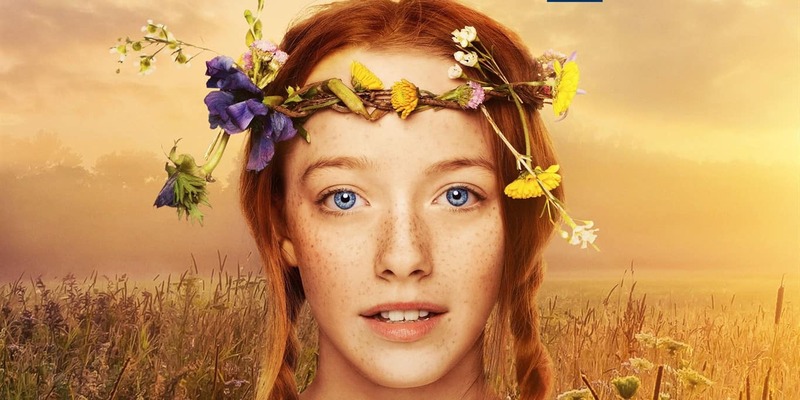 It was a few months ago when I first caught wind that Netflix was going to have the new CBC remake Anne of Green Gables. Because, you guys, I loved loved loved that miniseries (and the books), just like nearly every Gen X female kindred spirit I knew. Even with successful Netflix originals series like Stranger Things and House of Cards, and knowing that it was written by Moira Walley-Beckett (who won an Emmy for a Breaking Bad episode — another amazing show), I was still hesitant to assume that this adaptation of Anne would do anything but make my Gen X self worried that they’d do a terrible job with something so many of us hold dear. I mean, I was hopeful … but cautiously so. I did, however, catch Sarah Larson’s opinion article from The New Yorker in my Facebook News Feed and rather than wait until after I’d watched the show, I read it that night. Wow. What a buzzkill, even the title. Truth be told, similar to The New York Times, I really value the writers’ opinions on most things in The New Yorker. We typically align like PB&J, from humor/satire pieces to more serious fare. It’s not surprising that after reading that piece I was ready to be disappointed, and also a bit angry. I almost didn’t even bother to watch … the article was that persuasive. But then a friend of mine started the first episode—she’s another die hard lover of the original miniseries and the books—and she said it brought her to tears. In a good way. So, with a hefty dose of skepticism, I decided to watch episode one of Anne With an “E” and see for myself. I should interject here that unlike The Handmaid’s Tale, I didn’t reread L.M. Montgomery’s Anne of Green Gables before deciding to watch the new series (it’s probably been 25 years since I last picked them up). The subtleties of a successful adaptation from the novel to screen may have escaped me, simply because I don’t remember all the bookish details anymore. Having binged the entire first season of Anne With an “E” in about 24 hours, I’m here to say that I disagree with so much of that article from The New Yorker, save the first two-and-a-half-ish paragraphs. 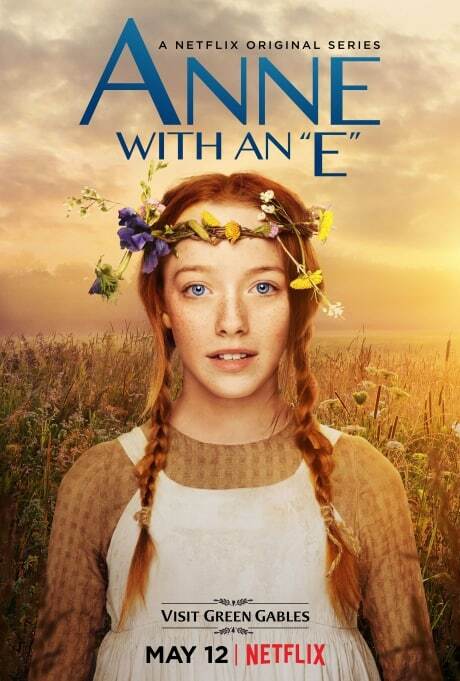 I found Anne with an “E” to be a wonderful adaptation of the story—a refreshing and modern update that made me blubber and giggle throughout nearly every episode. We don’t need another “Megan Follows” Anne. We had that, and it was perfect. This morning, I decided to take a peek at my other go-to publication for reliable reviews, The New York Times. I’m not sure why before now I hadn’t, aside from the fact that so many other articles I’d already stumbled upon were pointedly critical and, quite frankly, I didn’t want to read another exhaustingly critical piece … especially after actually enjoying the series. Turns out, in a wonderfully surprising twist, Neil Genzlinger agrees … with me! In response to critics’ and at-home-watchers’ pithy reviews of the new Anne being darker and gritty, he says, “You say darker, I say richer.” Bravo, Neil. Bravo! And, reading this alternate review from fellow Times critic Willa Paskin, I find a not-all-positive, but definitely more thoughtful perspective, on why people struggle a bit with CBC/Netflix adaptation—it’s long, but worth reading, too. 1. The opening and theme song are modernized, and that’s okay. I wouldn’t have thought the opening sequence was Game of Thrones-ish without Sarah Larson from The New Yorker having suggested it. And even still, that’s a stretch for me. A man riding fast on a horse isn’t enough to make me leap to Jon Snow, the White Walkers, or dragons. It’s also not nearly epic enough to be in the same realm as the seven kingdoms. C’mon. There’s also been some hubbub about the fact that Netflix changed the name from simply “Anne” to the current title, as well as the filters they used to change the look of Anne from gray and “more representative of Prince Edward Island weather” to something golden and ethereal in the show posters. Honestly, folks? I. Don’t. Care. Drab Anne looks lovely to me, with her freckles and crooked teeth more pronounced, and an all around normalish feel to her (while also so striking and beautiful). 2. The flashbacks are a change, a big one. In this version, we gain a little perspective on Anne’s life before arriving at Avonlea. With the book and the miniseries, we were left to our own devices in terms of imagining what life was like for her. In my mind, both options are good ones. I’m not annoyed with the flashbacks, and they’ve given me some food for thought about things that hadn’t occurred to me before (“quiet as a mouse”). Are the flashbacks telling the story that L.M. Montgomery had in mind? Who knows. But in an adaptation, I’m not sure it matters as long as the finished piece makes sense. In this case, it works for me. The flashbacks are depressing, sobering, anxiety-ridden … and probably quite representative of life as an orphan then. Dickensian? Yes. But it didn’t feel out of place, nor did they feel overwhelming to the story line. 3. The dialogue between kids is … sometimes too modern. Of all the things people are in a tizzy over, this is one that I haven’t heard. Most of the dialogue and accents are congruent with the era and the location, especially between adults. The children—most noticeably at school—break into spells in every other sentence that sound, well, modern. It’s pretty much the only thing that’s bothered me about the adaptation. There are spots in each episode where the same thing happens. Parts of a conversation where the kids let words slip that probably feel more natural nowadays, and the directors decided to let it go. Or, it’s possible it was written that way? I guess? I didn’t like it. Just about the only thing, really, that I didn’t care for — and thankfully, it’s only a small thing. 4. Green Gables and Avonlea are just as stunning as you’d expect. While I may not agree with the passive aggressive “It opens with a sequence that evokes ‘Game of Thrones’…” from that article in The New Yorker, I do agree that the landscape is sweeping and breathtaking, with wide aerial shots. And, yes, it includes Matthew galloping as fast as the wind on his horse (though I don’t see how that’s such a direct connection to GoT, that it’s worth mentioning as a negative). There are similar sequences in the opening of Outlander that don’t make a ton of sense until you watch the show (Claire running through the woods in a 1700s-era dress, for example). There’s nothing wrong with that. Green Gables is the perfect farmhouse, with all the right touches … including Marilla and Matthew who, I believe, portrayed their characters well. My only comment about Matthew is that I felt he came off as nervous (with the difficulty getting words and thoughts out), when I pictured him as, and loved him as, simply quiet and humble—more like the Matthew from the 1980s miniseries. The farmhouse is simple, period-appropriate, and filled with small details that are easily missed because they feel so natural. One article mentions that even the potatoes were picked specifically to align with the smaller potatoes from that era. Lovely! 5. When is Season 2? I had my fingers crossed that Netflix would bring us a second season. My worst fear was that CBC approves and creates a second season, and then Netflix wouldn’t pick it up. GAH! But, worry no more! 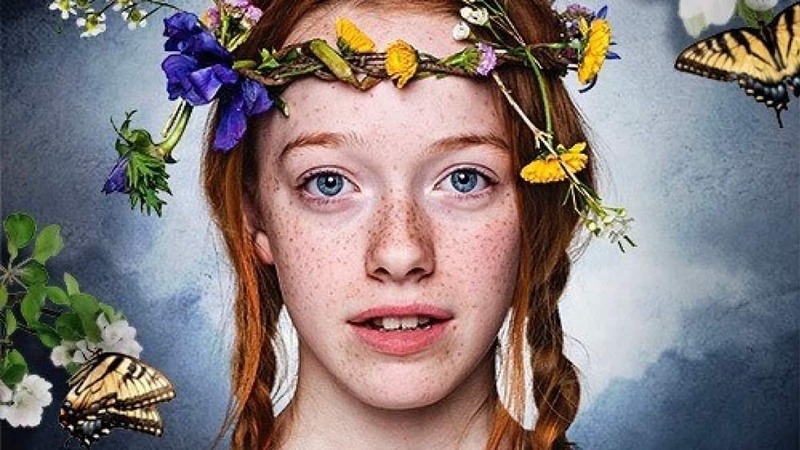 Anne With an E Season 2 just launched on Netflix July 7, 2018! Check out some of my other favorite TV shows to binge here! Great. Review, I’m watching episode 1 w my. 11 year old daughter tonight based on your article – thanks ! I hope you enjoy it! The flashbacks are dark, for sure, but at 11 years old she should be fine. I’m going to re-watch with my 12 year old! I just watched the first two eps last night, and I loved the original series. So with that totally agree with all you have mentioned. the modern wording annoyed me too! I forget which ep, but Anne and Jerry say something along the lines of “why do you have a problem with this” It didn’t fit. Also, I think the woman playing Marilla, they couldn’t have found a better actress. It’s like she’s channeling Colleen Dewhurst! P.S. Those girls at the school were downright mean! @Deni – I was surprised how much I loved the actress playing Camilla in this version! She’s amazing, and it’s hard to imagine anyone pulling it off as well as Colleen Dewhurst! I watched season 2 in 2 days. Loved it! Now watching again with my 12-1/2 year old Granddaughter when she visits. I never read the book or saw the original shows. I just love all the characters and endings that draw you in to the next episode. Oh, I’m so glad you liked season 2!! I found it super charming. Enjoy with your granddaughter!